Teach your students to decode words sharing common vocabulary elements. The best writers, the most advanced readers, and the most successful students have two things in common: a rich vocabulary and the skills to decode new words instantly. The most successful teachers know that determining the meaning of unfamiliar words is one of the most valuable skills their students can develop, and that’s why an organized study of roots is so important. 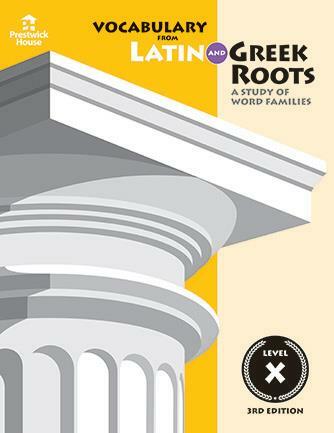 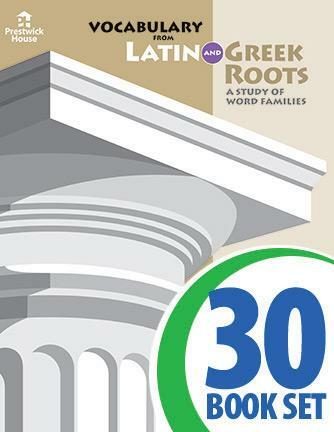 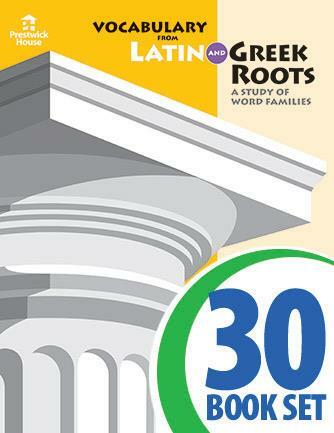 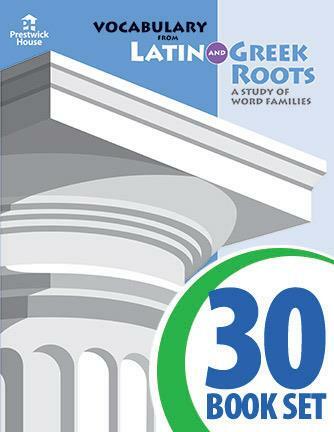 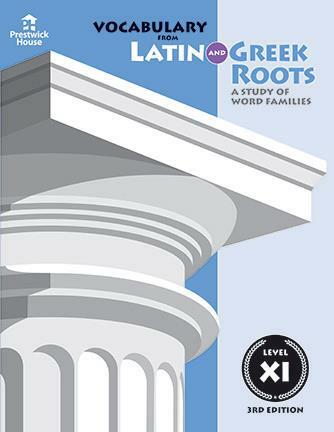 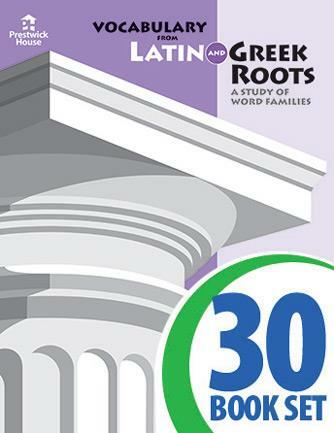 Vocabulary from Latin and Greek Roots uses research-proven methods; this program is the most efficient way to help students learn new words and build the skills they need for a lifetime of success. 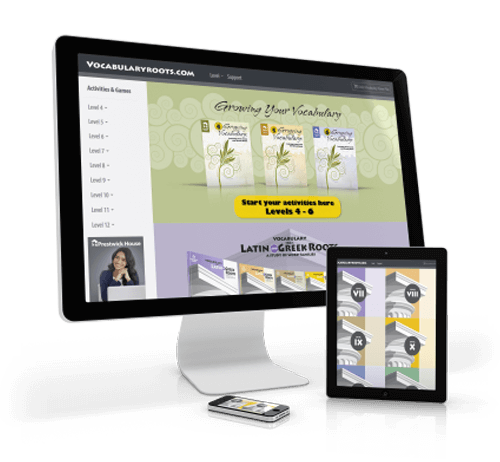 This free and easy to use site has been preloaded with material for this program.